The centre groove is supported by a wave-like pattern called the wave groove. It improves the lateral stability of the tyre, which in turn helps the tyre maintain its shape and resist wear. 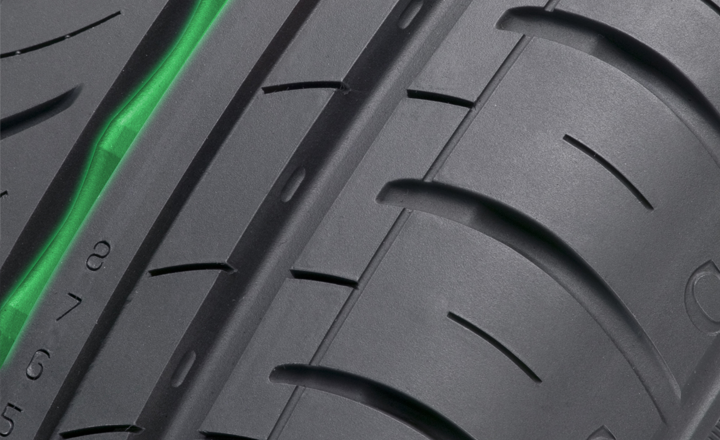 The wave groove significantly reduces the risk of aquaplaning during summer rains.